The weaving for my top is going well. I’m about half way through and it is looking really good so far. I’ve been chipping away at it, half an hour to an hour at a time. Just enjoying throwing the shuttle back and forth. Relaxing, almost mesmerizing. 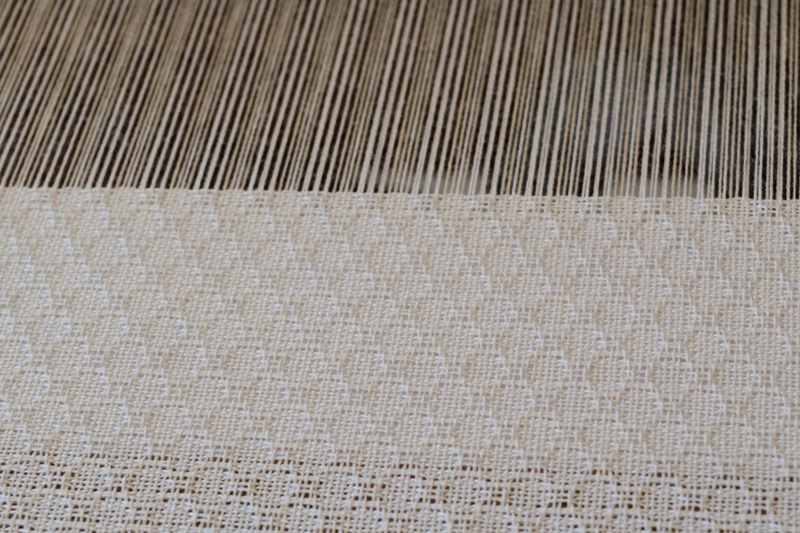 I’ve woven 1m of the lattice pattern and now working through 1m of the huck lace (grid like) pattern. 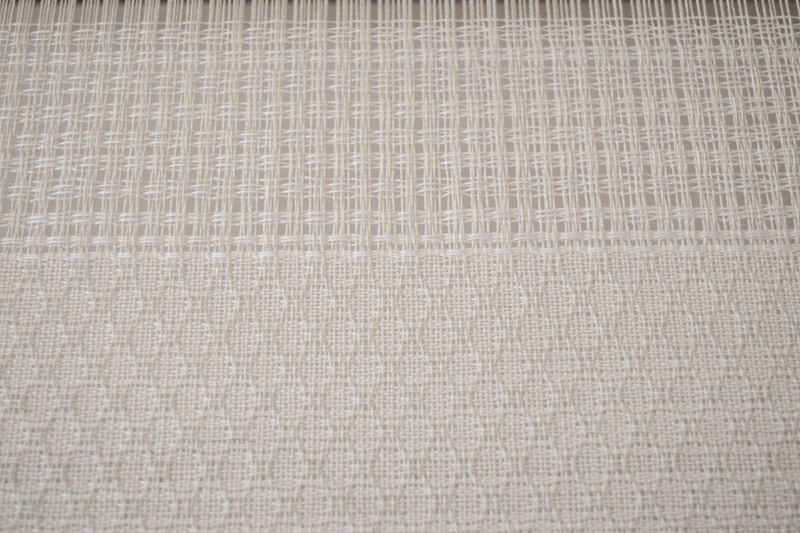 Then I’ll weave another metre of the lattice pattern. For the huck lace, I’ve changed the treadling back to the original setup as it makes more sense for that treadling pattern. The threads are already starting to shift to form the grid pattern. It will shift more after it is washed and the lattice pattern will have more of a diamond look rather than the ovals it has at the moment. 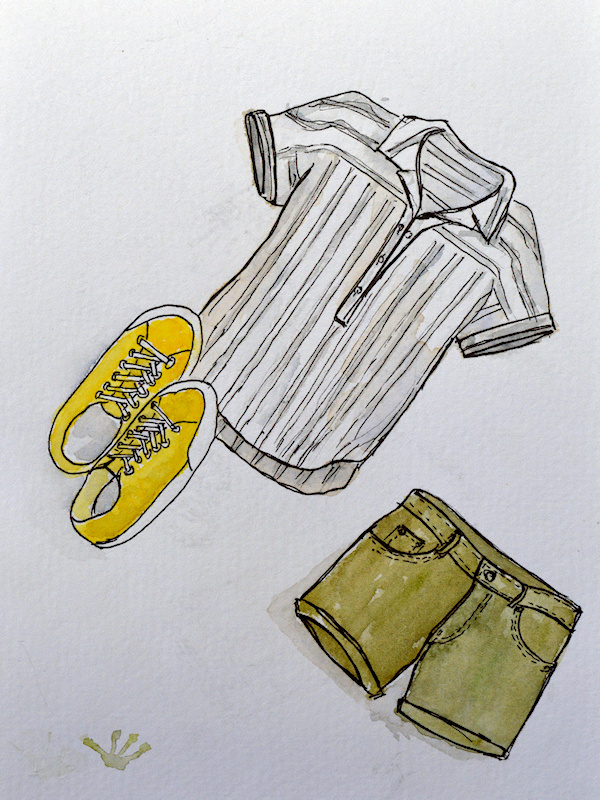 I’m still undecided whether to do short, cut on sleeves ( as originally planned) or make a woven T with short set-in sleeves. So I’m hedging my bets by weaving enough to do the set-in sleeve version with either pattern for the sleeves. We have a gathering at our place, the weekend after next, so I’ll be trying to have the cloth safely off the loom before then. 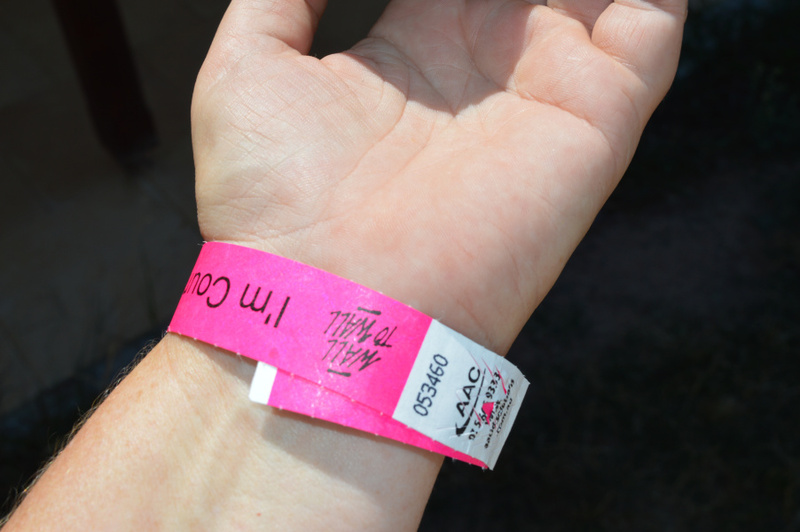 Over the long weekend, we went to have a look at the Wall to Wall Festival in Benalla. 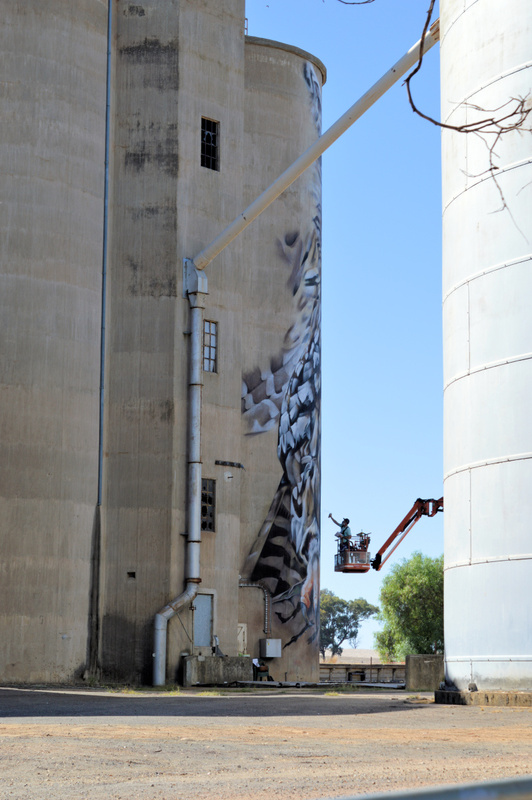 There are a number of street artists painting mural in different places around the town so it is fun to walk around the different sites and see the artists at work. 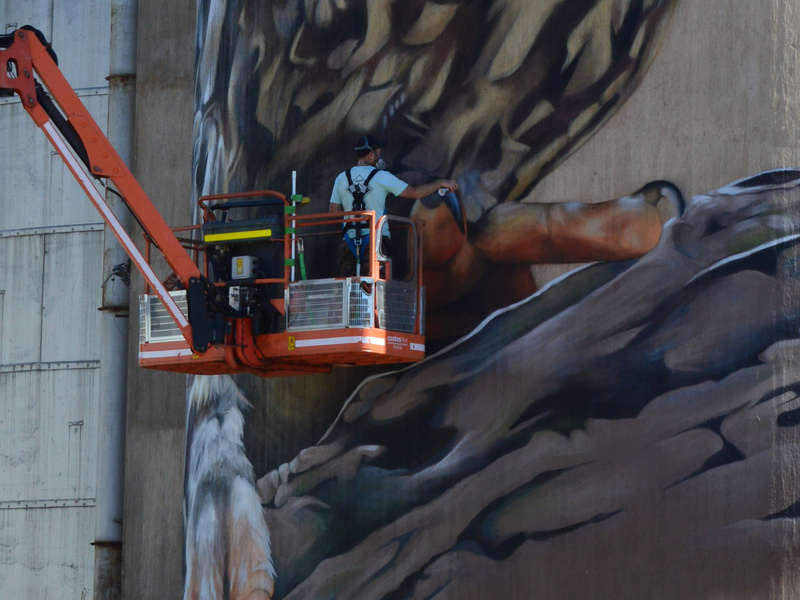 One of the artists, DVate, paints threatened species. 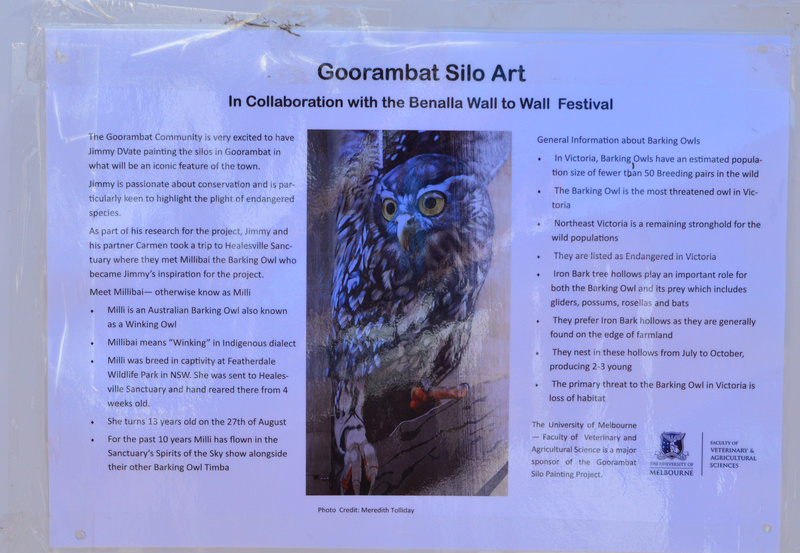 He’s previously done a Squirrel Glider and did a Regent Honeyeater last year for the festival. 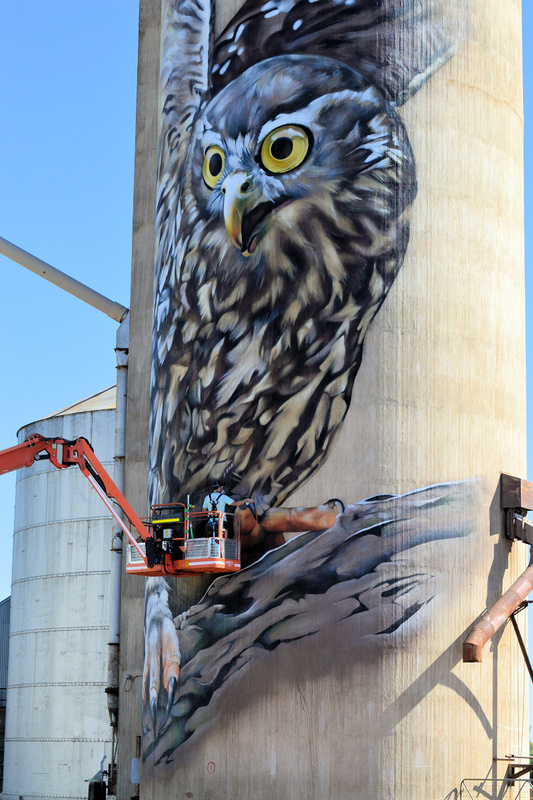 (ETA I just realised that the Kelpie was one of his artworks as well) This year, he was out at Goorambat painting a huge Barking Owl on the side of a silo. It was awesome to watch him work! 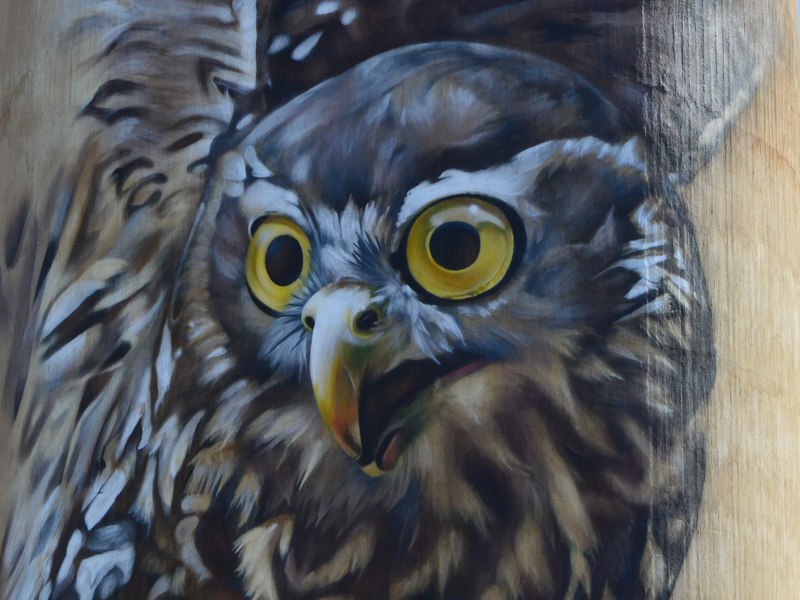 I’m keen to go back out there and see the finished Owl. 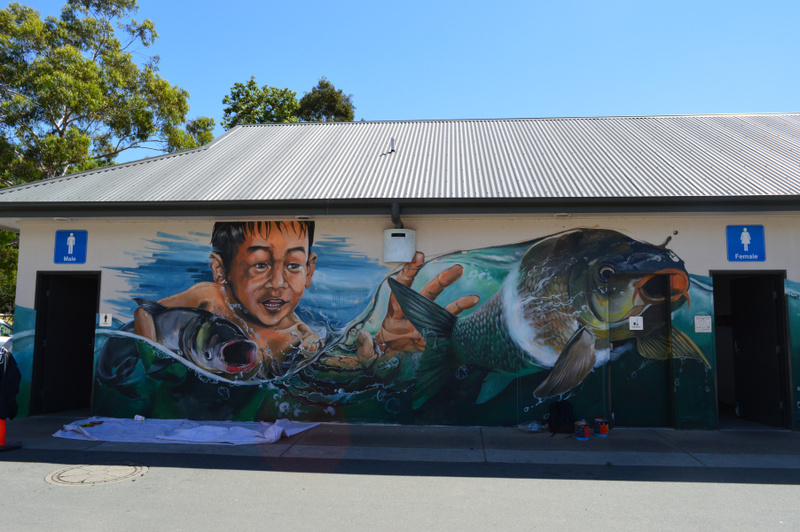 Benalla Street Art Website – murals Site also has a map of the murals. If you are heading along the Hume, past Benalla, it is well worth stopping to have a look. The sheer scale of the paintings is amazing. I don’t know how they do it. There are a few ‘silo trails’ popping up which would make an interesting diversion to a road trip. 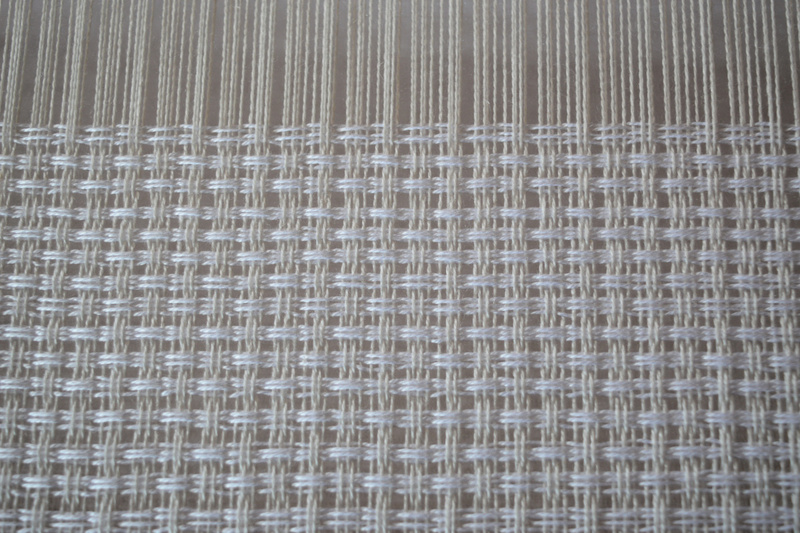 Your weaving is lovely! I imagine it is a mesmerizing process, and I look forward to seeing it finished. 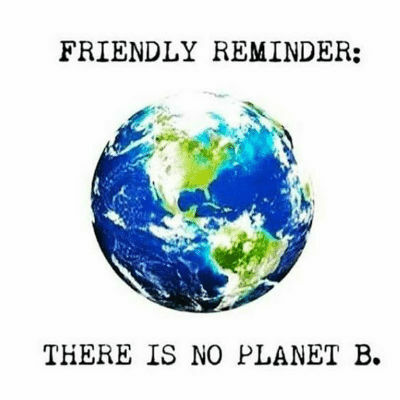 You are so very accomplished. Thanks. Keeping your fingers crossed for me that it will look good once it is finished.